You know I’m a huge fan of It Cosmetics, right? Well, they’re kicking off 2015 with a new QVC Today’s Special Value set that features five new product launches. What better way to start off the New Year than with new makeup that helps you achieve beautiful skin? Today, the IT Cosmetics New Year, Your Most Beautiful Skin 5-Piece Collection is available until11:59 p.m. EST. Below I have swatches, and a brief of the shade for darker skin tones, ‘Rich’. IT Cosmetics is known for creating innovative cosmetics that incorporate the benefits of skincare like anti-aging properties, UVA/UVB protection, color correction, pore minimization, and more. The New Year, Your Most Beautiful Skin 5-Piece Collection is no different. This collection features five new product launches that provide both skincare and flawless coverage so that you are confident you’re putting your best face forward this year. 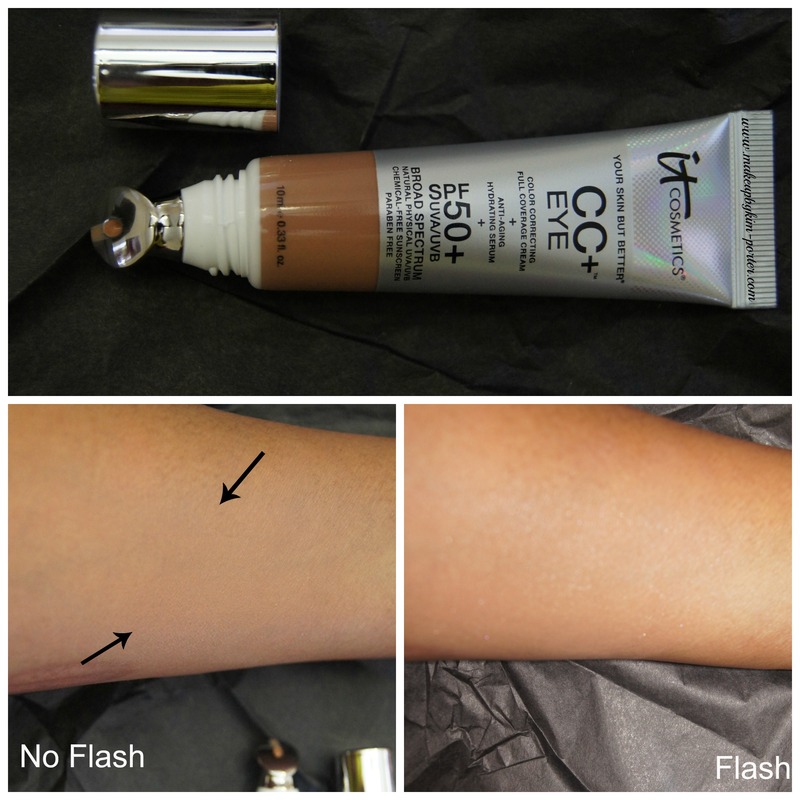 This full coverage eye cream has beautiful coverage, and applies smoothly. The shade, although slightly darker than the complexion on my arm, works well on my face on my under eye area. If you suffer from eye puffiness, fine lines and wrinkles in the eye area, the Cold Spoon Technology promises to instantly soothe the area, and help reduce the appearance of fine lines and wrinkles. CC+ Creme in a compact? Yes! The great thing about it is that you only need a tiny bit to cover your entire face. It isn’t heavy on my skin, and it matches well with my complexion. The CC+ Color Correcting Full Coverage cream offers the full coverage of a foundation with SPF 50+ UVA/UB, physical-only sunscreen, brightening color corrector, anti-aging serum, pore minimizing primer, dark spot corrector and a moisturizing day cream all-in-one. Unfortunately, my powder arrived broken, but, I was still able to salvage enough to swatch. This is a light-weight, talc-free powder that’s formulated with hydrolyzed silk, hydrolyzed collagen, niacin, peptides and anti-aging ingredients working together to provide a flawless airbrushed look, and hydrated skin. The powder has never really been a perfect match for my skin tone; however, I use it to remove shine in my t-zone after applying makeup. It isn’t something I can use alone at all. 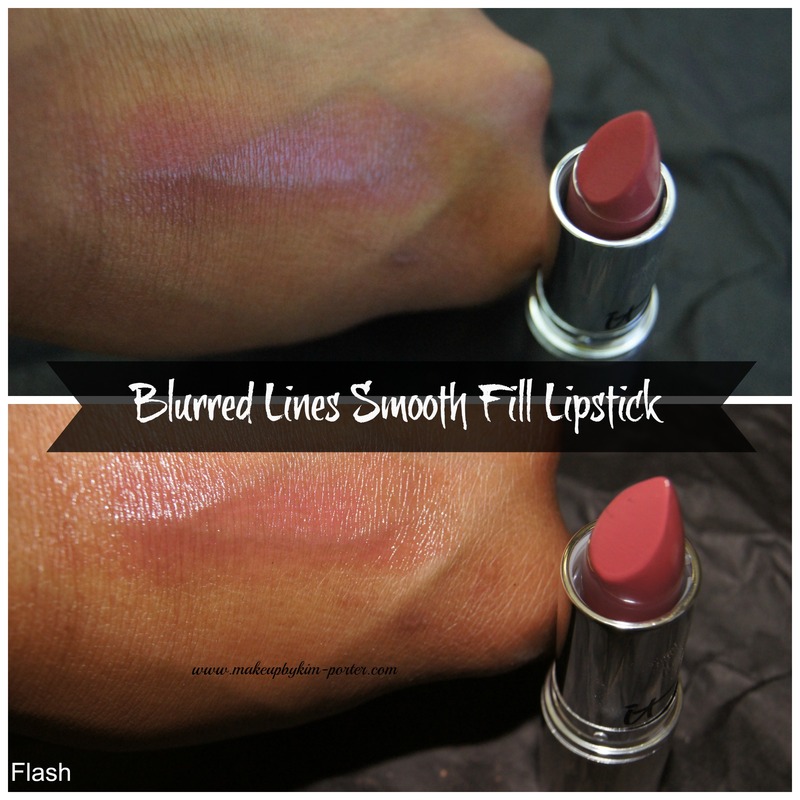 This is a super natural-looking lipstick that offers to smooth fine lines while adding moisture and nourishment to your lips with the following ingredients: shea butter, jojoba, grape seed extract, cherry oil, and hyaluronic acid. IT Cosmetics has some of the best makeup brushes around. 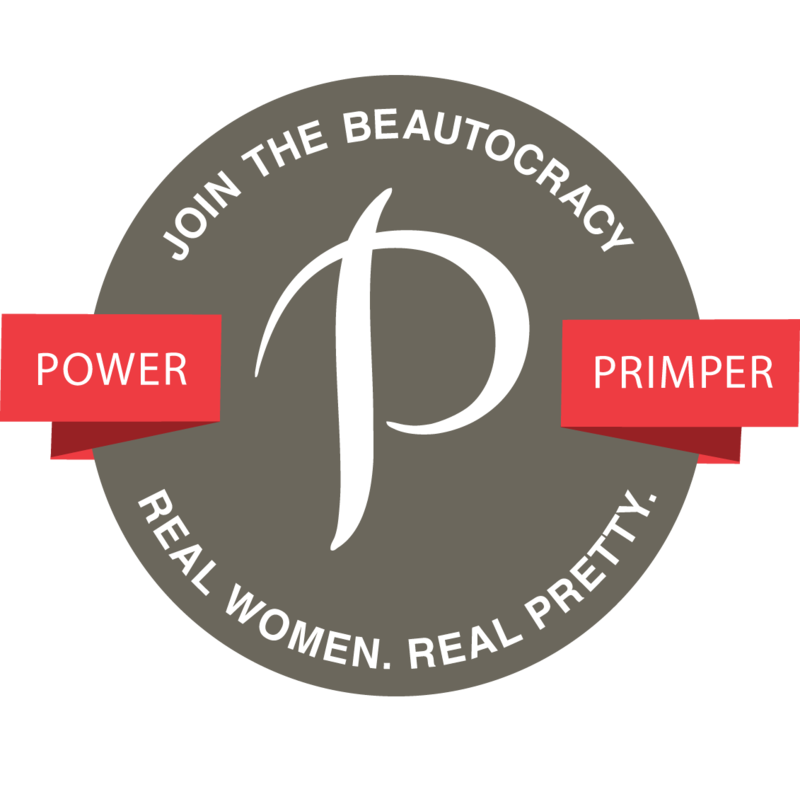 They’re soft, are effective at applying makeup flawlessly, durable, an cruelty-free. The brush is a custom-cut by hand brush with over 80,000 hairs! Talk about luxurious! 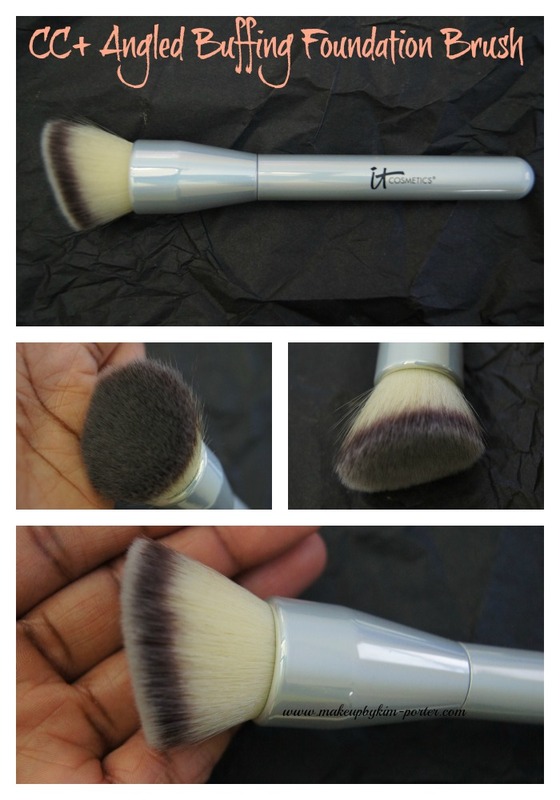 Using this brush will provide flawless makeup application, giving off the appearance of “your skin but better”. 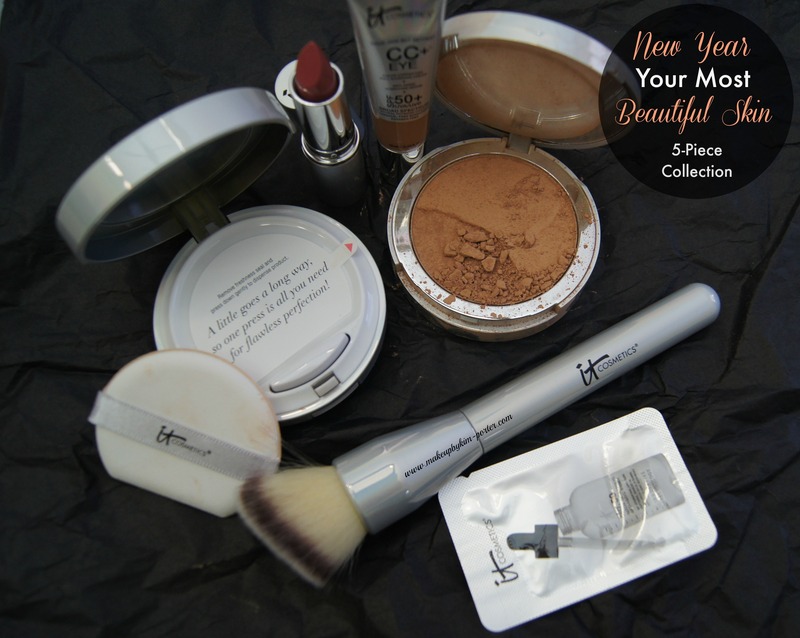 The IT Cosmetics New Year, Your Most Beautiful Skin 5-Piece Collection has you covered in helping you achieve a naturally pretty look for 2015 (and beyond) whether your under eye area needs color correcting, you have some blemishes and/or pores you’d like to cover, or if you’d just rather add a pop of color to your lips while removing fine lines. Make sure you tune in to QVC or QVC.com today (3 a.m., 9 a.m., 4 p.m., and 6 p.m.) until 11:59 p.m. EST to pick up a New Year, Your Most Beautiful Skin 5-Piece Collection before it’s gone. QVC Item #A256971 for $59.94 or two easy payments of $29.97 (plus shipping & handling). The collection is available in 5 shades. If you’d like to read a full review on the New Year, Your Most Beautiful Skin 5-Piece Collection, please just leave a request in the comment section below. I feel like their products still kinda miss the mark when it comes to women of color. I do like that lipstick though. I agree because it only caters to a fairly lighter shade of brown, anything above that is a no-go. I love IT Cosmetics brushes, and I kinda want this kit for the brush alone! Looks like some great stuff, though. Too bad they don't all match your skin tone. Their brushes are AMAZING! It's probably one of the best things about this set. That lipstick looks SO gorgeous! I'm loving this set! The lipstick is pretty. It's great if you are into sheers. I tried Dior's BB for Eyes and I loved it. Now, I'd love to try this. 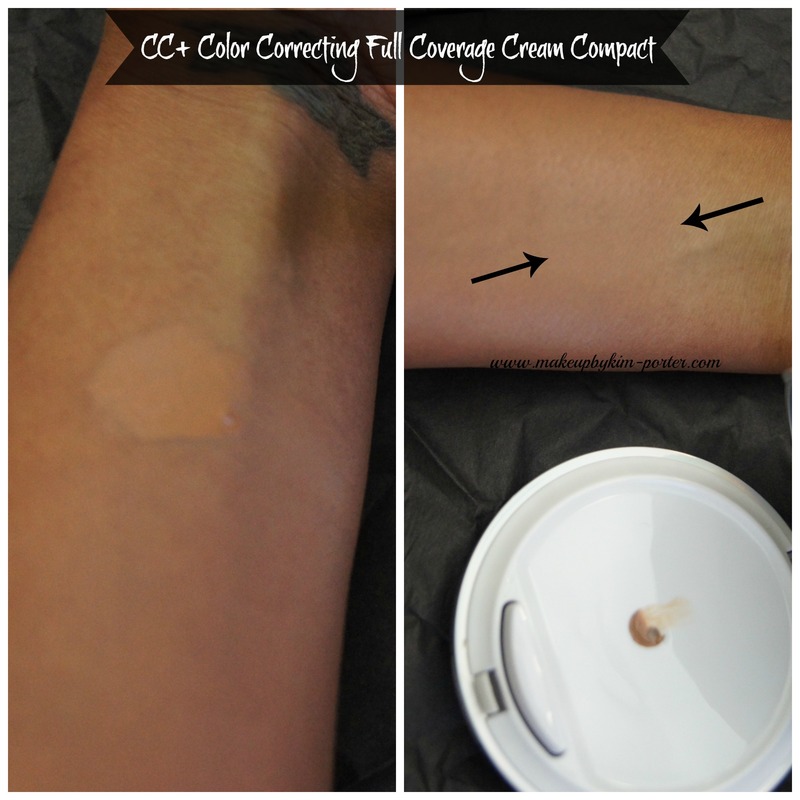 I have discoloration around my eyes so it sounds great, and I'm a big IT CC Cream fan! 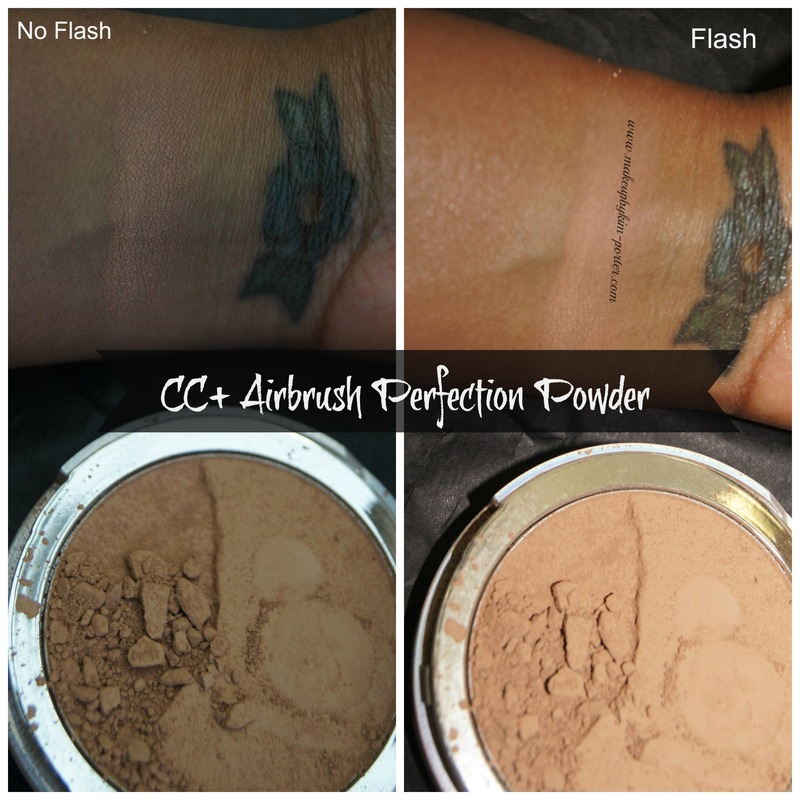 The cream and concealer look like they match you pretty well but the powder is no good. I wish they had a larger shade range available. Yeah, the powder hasn't ever done well for me color matching wise. Expanding their color range is something they have to think about. It's too light, too warm, and cakey looking, at least when applied alone. I love it brushes so I def want that one!! LOVE the new layout : ) So nice! Those lip colors are pretty. They don't seem too bold which is good for work because I don't like wearing strong colors during work. My boss will always ask me if i have a date lol That CC sounds great. I love when I'm able to use a small amount and get good coverage. A little will go along way and last you a long time. great review. This looks like a great set!! My recent post Fashion Flash! Can't wait to get these in the mail. My recent post 10 new polishes from FingerPaints for 2015! Yeah, the powder hasn't ever worked for me, at least not alone. I'm so sad that I missed this. My recent post The Tarte Cosmetics Tartelette Amazonian Clay Matte Eyeshadow Palette, Swatches, Review, and Palette of the Season! !